Whip up a tasty snack in your waffle maker! When my kids were little, I enjoyed coming up with new recipes to entice them to join me in the kitchen. I wish I’d thought of these tasty treats way back then as I am sure I could have persuaded them to make them with me on a weekly, or possibly even daily, basis. They’re so delicious and fun – perfect for snacking, or a great lunch if you add in a salad on the side. Put flour in a small, shallow bowl; blend in oregano. Put egg in a bowl, put panko in a third bowl. Roll cheese cubes one at a time in flour, then egg, then breadcrumbs, making sure they are thoroughly coated with breadcrumbs. Place on a plate while you finish preparing the rest of the cheese cubes. Grease waffle plates lightly with canola oil. 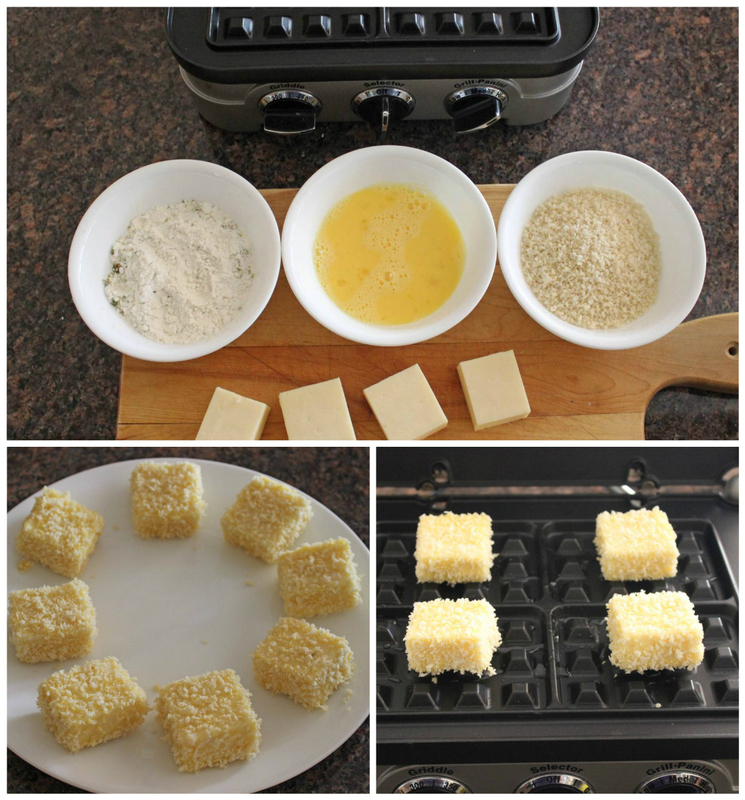 Add one coated cheese cube per compartment of your waffle maker. Cook 3 minutes, until breadcrumb coating is golden brown and cheese has melted. If the breadcrumb coating sticks to the top plate, just pry it off and stick it back on the cheese – it will adhere perfectly. Let sit for 2 minutes before eating; serve with pizza sauce for dipping. 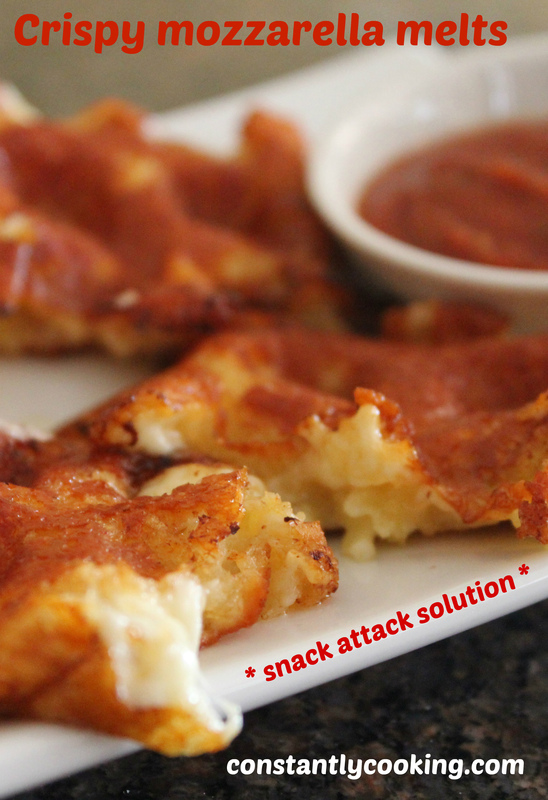 Makes 8 mozzarella melts; recipe can easily be multiplied. 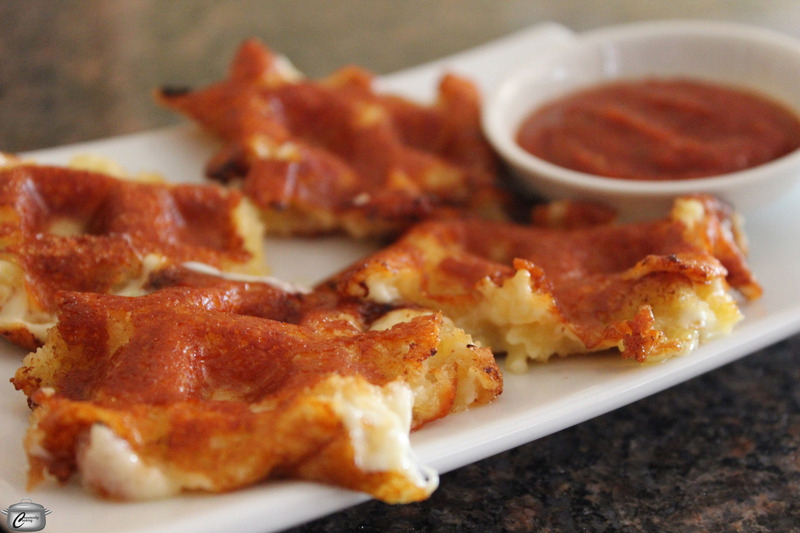 This entry was posted in appetizer, cheese, lunch, snack and tagged cheese, cooking with kids, crispy mozzarella, gluten-free, mozzarella, mozzarella poppers, mozzarella waffles, party food, Paula Roy, snack, vegetarian, waffle iron recipe. Bookmark the permalink. Way to display your versatility, PR! Thank you – super yummy indeed!